Are you feeling a bit confused about the way the U.S. education system works? Dp you need some help understanding the concepts and ideas behind the U.S. college education system? Here is an overview of some of the most commonly asked questions foreign students have about the U.S. education system. Students at universities in the United States get credit hours based on however many "contract hours" they have per week in class. A contract hour is lecture and teaching time when a student is in class each week. Most colleges and universities offer three credit level hour classes if they are on a semester schedule, meaning they meet for a total of three hours in class each week. Most quarter systems meet for a total of four credit hours, meaning a total of four hours a week in class. The following blog will cover some basic features, including assignments, admits (conditional and non-conditional) and accreditation status. Classes are typically structured around two to four major assignments, a mid-term exam at the halfway point and a final exam at the end point. Major assignments can often vary depending on the student's major, and will typically have to do with whatever the class objectives are. For instance, most humanities classes encompass essays as the two to four major assignments. Mathematics classes would have projects based on the equations and concepts learned, whereas science classes would expect students to complete lab projects. Most American universities do not have students completing weekly assignments, and there is always time between assignments, but completion of weekly readings after each completed lecture is a standard expectation. Most major assignments are due for students around the time of mid-terms and final examinations. Very few U.S. universities come with academic admission requirements beyond the completion of high school and either the SAT or ACT exam. Conditional admission means that the student's acceptance into the university is achieved. Non-conditional often occurs when a student needs to justify residency status in the country, as an exchange student or otherwise, in order to be fully admitted into the university. The United States university system is made up of six accreditation bodies that are recognized by the US Department of education. Each body covers a particular region of American, and hence this type of accreditation status is known as regional accreditation. 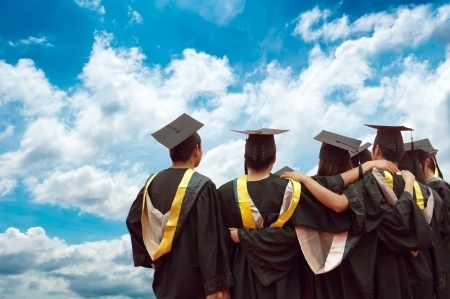 Students want to attend schools that have this status in order to make certain that their units will transfer to all other institutions, and to also ensure that their degrees will be globally recognized. Any other accreditation status is not a standardly recognized status, and should be avoided. Universities that have achieved regional accreditation have undergone, and continue to undergo, strict regulations and visits from their regional accrediting body, ensuring a high standard of educational instruction for all students. The quality of education at regionally accredited institutions is also considered to be much better for all students.